Gift Card vs. Prepaid Debit Card: What’s the Better Gift? Cash is an easy gift option, but what form it should take is another question. Putting bills into an envelope may work, but it’s not ideal: There’s no way to recover cash if it gets lost or stolen. Plus, it’s easy to forget cash was a gift once it’s tucked into a wallet. Storing cash on plastic cards is better, provided you choose wisely between gift cards and prepaid debit cards. Here’s what to know. Both are prepaid cards, meaning you put money on the card in advance for spending at physical and online stores. They also offer protections against loss if you register them in your name. They work differently, though. Gift cards are only spending cards, so they don’t allow cash withdrawals, and most aren’t reloadable. Prepaid debit cards, on the other hand, let you make purchases but also withdraw cash at ATMs, banks or certain retail stores, as well as use web features such as bill pay. They’re also reloadable. Because of their flexibility, prepaid debit cards can serve as budgeting tools or even as replacements for checking accounts. They’re popular for curbing overspending, which teens or young adults may struggle with. Prepaid debit cards have more uses than gift cards, but they’re not ideal as gifts. The biggest reason is cost. Many have monthly fees that add up to between $12 and $120 per year, and there may be other fees as well. Gift cards are the better choice, but they’re not all equally good deals. “Generic gift cards like those from Visa or American Express allow recipients to buy at any store that accepts that card network, but they may come with activation fees that the gift giver will have to pay,” says Courtney Jespersen, retail expert at NerdWallet. “Shoppers can get around most, if not all, fees by buying a specific gift card directly from a retailer or restaurant instead,” Jespersen says. 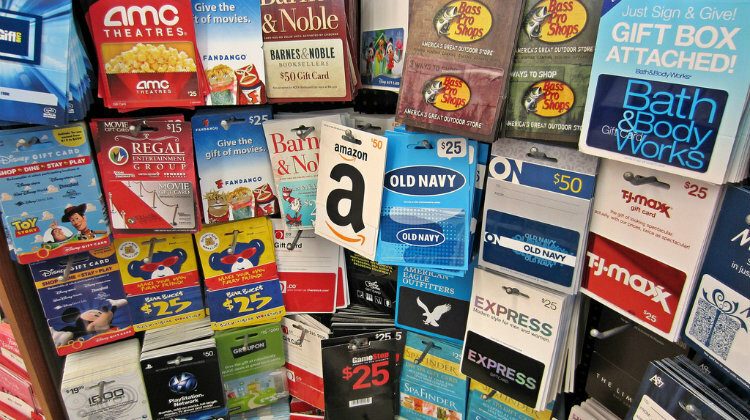 “The bottom line is that traditional [retail] gift cards are easier to use and a better value,” says Lauren Saunders, associate director of the National Consumer Law Center in Washington, D.C. Understand the terms and any fees on a gift card before you buy it so that your holiday gift brings joy with no fees attached.